In a post uploaded to Instagram recently by the UFC’s absent lightweight champion, McGregor addressed a fight he had all the way back in 2013 with a fresh-faced Holloway. “The Notorious” had just one fight and win in the promotion, against Marcus Brimage, before heading into the clash with the 21-year-old Holloway at Boston’s TD Garden. McGregor won the bout by way of a convincing unanimous decision, yet the victory did come with a price – the Irishman tore his anterior cruciate ligament (ACL) and was ruled out of action for almost a year. Both men went on to enjoy considerable success following their fight in 2013. McGregor won the featherweight & lightweight titles and became the face of the UFC and one of the most recognizable sports stars in the world, while Holloway would not lose since then and take the 145-pound strap from Jose Aldo. Both men are not regularly talked about when it comes to the possibility of a rematch, but with Holloway recently discussing that a move up to lightweight may be a possibility in the future, it is hardly something which would be completely off the table. 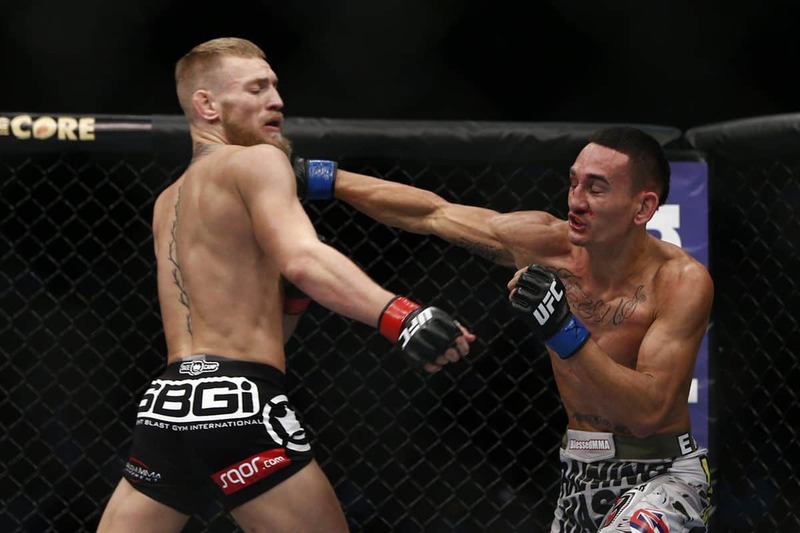 McGregor and Holloway have both fired shots at each other in recent times and this would indicate that there is some kind of interest behind the scenes for a bout between the two. “This was just moments after I tore my ACL in a fight in Boston Massachusetts,” McGregor wrote to Instagram. “It was when I faced off against the current featherweight champion Max Holloway, who I dismantled before and after this ligament tear, to win a lopsided victory. It was father against son in there that night in just my second UFC bout. Young Max is a hell of a fighter, I wonder what the future holds for my young Uce. Ligaments are needed in a fight definitely. Some can fight on however, where as some can not. I always think there are moments in your career that can make you or break you. I have had many in my storied career and this was most certainly one of them.